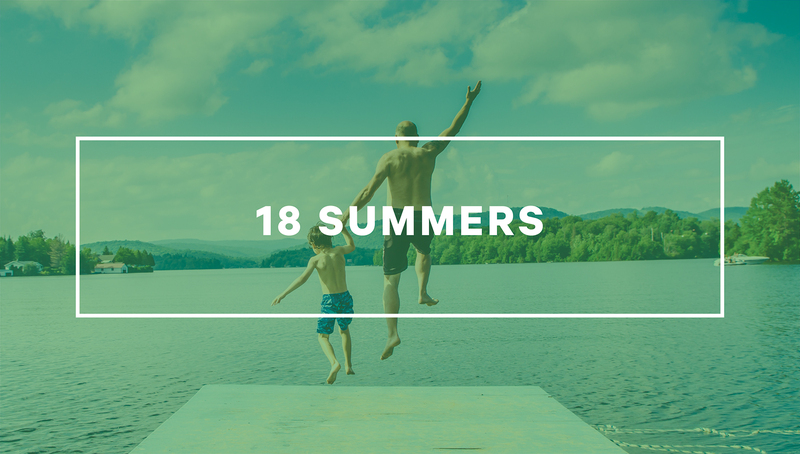 Eighteen Summers: It’s all we get! One of the primary reasons we started Forward! I love this story, find out how to incorporate a Virtual Assistant in your life so you don’t miss out on, well YOUR LIFE! We ventured on our first family trip. Up in the mountains where it was nice and cool, without a care in the world. Forging new paths, I carried you on my back as the wind gently whistled by, and the twigs broke beneath my feet. Life was quiet, and life was good. But now you’re older, and the time is slipping by. Our summers look different than they did before. We stow the lunch boxes and the backpacks, and trade gym shoes for flip flops. You have siblings, friends, and interests of your own now too. Life is busier, and I worry more about how we’ll spend our days. Because before long, you’ll be walking down the aisle with your graduating class. Cap and gown, and that wide smile of yours. I’ll sit in my seat as I choke up a bit, and a few tears will roll down my cheeks. Tears for the good times? Or tears of regret? Tears for making the most of every moment I had with you—every summer I savored? Or tears of remorse for knowing that I could have done better—could have been more present in what we had, for only a time? So I know what I must do. I must make every single summer count. All eighteen of them, because it’s not a lot. I will listen to those thoughts that suggest things off the beaten path. Things that I might not normally take the time to do with you. We’ll make the messy craft, take the hike, turn the music up and hilariously dance around. We’ll eat ice cream for dinner, have a camp out in the backyard—we’ll watch the sunset and we’ll watch the sunrise. When I question *if* we should take the trip, I’ll quickly turn it around, and question *why* we should take the trip. And the answer will always be—you. Because you’ll only be young for a while, and there’s so much for us to see. So much for us to do, and so many opportunities that await beyond the limits of our own front door. I’ll get in the pool with you and splash around. Play the game. Listen intently to the story you wrote. Wherever we are –you and I— I’ll be all there. Just like I know you’d like me to be. 4. Get in more photos. I don’t particularly enjoy jumping into a photo, but for you, I will. So when you look back, you’ll see me right there with you—smiling and enjoying my motherhood just as much as you enjoyed your childhood. 5. Enjoy the ordinary moments. I’ll make big plans for us, but I’ll also enjoy the slow and simple moments too. The kind of summer days where we stay in our pajama’s until noon, make pancakes for lunch, and don’t do much at all. I’ll know that the messes you make won’t be for long, the scrapes and the bruises won’t always be mine to heal, and the tangles in your hair won’t always need to be combed. At least not by me. For soon you’ll be gone. You’ll set off on your own, and we’ll have used up all eighteen of our summers. We’ll have nothing left but the memories. Memories of how we made the best of those eighteen summers together—you and I.